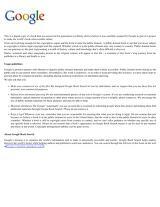 in English - Parallel prose ed. / Dennis Danielson. Paradise lost: a poem written in ten books. 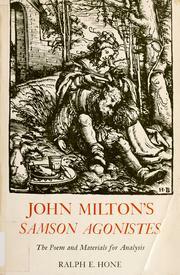 Milton's Paradise lost: books I. & II. Microform in English - 2nd ed. - rev. an enl. John Miltons Verlohrnes Paradies: verbesserte Uebersetzung. 1973, bey Orell, Gessner, u. Comp. Paradise lost: Paradise regained; and Samson Agonistes. Introd. by Richard Eberhart. Paradise lost: Paradise regained; and Samson Agonistes. Paradise lost: and Paradise regained. Paradise lost: and selected poetry and prose. Edited, with an introd., by Northrop Frye. Paradise lost. : Edited by A.W. Verity. Paradise lost: a poem in twelve books. Paradise lost, books 1 and 2.: Edited by F.T. Prince. Paradise lost. : Books 1 and 2. Edited by A.W. Verity. Paradise lost. : Books 3 and 4. Edited by A.W. Verity. Paradis perdu. : Introd., traduction et notes de Pierre Messiaen. O paraíso perdido: poema épico em dôse cantos [por] Milton. Com ilus. de Gustavo Doré. Tradução em verso portugês por António José de Lima Lietão. Revista, pref., anotada e ampliada, com a biografia do poeta e a análise do poema por Xavier da Cunha. 1935, Doubleday, Doran & company, inc.
Paradise lost. : Edited with introd. and notes by M. Macmillan. Paradise lost: with twelve photogravures after designs by William Strang. Paradise Lost: a poem in XII books. Paradise lost. : Illustrated by Gustave Doré. Introduction by Robert Vaughan. in Russian - 1st ed. Paradise lost. 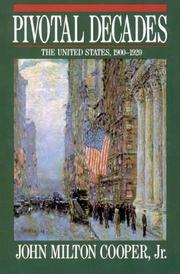 : With introd., notes, glossary and index by A. Wilson Verity. Paradise lost. : Illustrated by Gustave Doré. Edited by Henry C. Walsh. in Italian - Edizione economica. in Portuguese - 3. edição. 1883, Cassell, Petter, Galpin & Co.
Paradise lost, in twelve books. in French - Nouvelle éd., revue avec soin sur les éditions originales. Paradise lost: in ten books ... with an appendix containing the additions made in later issues and a monograph on the original publication of the poem. 1868, A. S. Barnes & co.
1867, A.S. Barnes & Co.
1866, Cassell, Petter, Galpin & Co.
Milton's Paradise lost: in twelve books. - School and academic ed. The Paradise lost of Milton. 1858, H. Washbourne & co.
1858, Henry Washbourne & co.
Paradise lost. : A poem in twelve books. 1852, Clark, Austin & co.
Paradise lost, with notes by Sir Egerton Brydges. 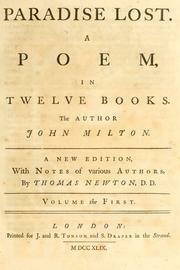 Milton's Paradise lost: a poem, in twelve books together with a life of the author. 1850, Clark, Austin & Co.
Paradise lost. : Paradise regained, and other poems. Ztracený ráj. : Přeložený z anglického jazyka do českého od Josefa Jungmanna. in Czech - 2. wyd. Ztracený ráj. : Peloený z anglického jazyka do eského od Josefa Jungmanna. in Italian - Terza ed., revista, corrètta e toscanamente accentuata. Paraiso perdido, poema heroico de J. Milton; traduzido em vulgar pelo Padre José Amaro da Silva: com o Paraiso restaurado, poema do mesme author; e notas historicas, mythologicas, etc. de M. Racine. in Portuguese - Nova ediçaõ. in Portuguese - Nova edição. in Italian - 2 ed. The Paradise lost of Milton: with illustrations, designed and engraved by John Martin. Paradise lost: to which are prefixed the life of the author, by Elijah Fenton and a criticism on the poem by Dr. Johnson. 1821, Printed for John Bumpus by W. Wilson. 1813, Nella Stamperia de Romanis. in English - A new ed. Adorned with plates. 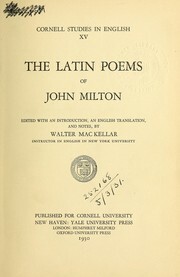 Milton's Paradise lost: with the life of the author to which is prefixed the celebrated critique by Saml Johnson LL.D. 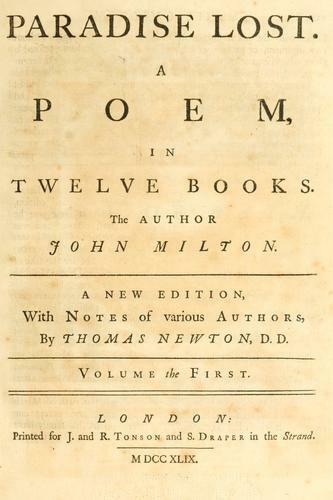 1796, presso G. Polidori, e Co.
Paradise lost: by John Milton; with notes, selected from Newton and others, to which is prefixed, the life of the author. With a critical dissertation, on the poetical works of Milton, ... by Samuel Johnson, L.L.D. Paradise lost. : With 24 engravings from the most interesting passages in the poem, and a portrait of the author, from the designs of Henry Richter; the prints will be engraved by John Richter. Microform in English - The second edition, with additions. The first book of Paradise lost. 1792, published by John Jeffryes & Co.
in French - Nouvelle édition / augmentée du Paradis reconquis & de quelques autres pièces de poésie du même auteur. 1787, Printed for William Young and Joseph James, Chesnut-Street. in English - A new edition, adorn'd with plates. in French - Nouvelle édition, revue et corrigée. Paradise lost. : A poem, in twelve books. 1777, Printed by Robert Bell, in Third-Street. Paradise lost: and Paradise regain'd. In two volumes. 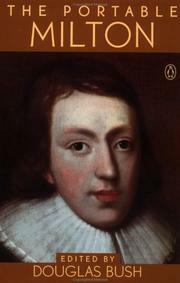 Paradise lost: a poem in twelve books : the author John Milton : the eighth edition, with notes of various authors / by Thomas Newton, D.D. ; now Lord bishop of Bristol. in French - Nouvelle édition, augmentée du Paradis reconquis, & de quelques autres pieces de poesie du même auteur. in English - The seventh edition, with notes of various authors / by Thomas Newton, D.D., now Lord Bishop of Bristol. 1769, bey Orell, Gessner, u. Comp. Paradise lost: a poem in twelve books. The author John Milton. According to the author's last edition, in the year 1674. Paradise lost. : A poem, in twelve books. The author John Milton. A new edition. To which is added, the life of the author, by E. Fenton; and a complete index. Paradise lost. : A poem, in twelve books. The author John Milton. Proposals for printing by subscription. The poetical works of John Milton. In two volumes. From the text of Thomas Newton D.D. : Volume the first. Le paradis perdu de Milton: & à l'occasion de ces remarques, un discours sur le poëme epique ; par M. Racine. Paradise Lost: poem, in twelve books. Paradisus amissus, poema. : Latine redditum a Guilielmo Dobson. Milton's Paradise lost: Book I.
in English - A new edition, with notes of various authors, / by Thomas Newton, D. D.
Paradise lost. : A poem, in twelve books. The author John Milton. 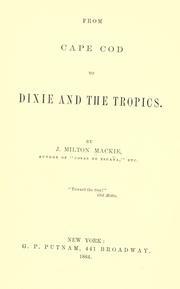 The second Scots edition. Adorned with a new set of cuts. 1742, A spese di Giannalberto Tumermani Stamp. Veron. Paradise lost: A poem. The author, John Milton. Book the first. Milton's Paradise lost: a new ed. Microform in English - A new ed. by Richard Bentley. Paradise lost. : A poem, in twelve books. The author John Milton. The fourteenth edition. To which is prefix'd, an account of his life. The hymn of Adam and Eve: out of the fifth book of Milton's Paradise-lost; set to musick by Mr. Galliard. - The tenth edition, adorn'd with sculptures. in English - The 9th ed., adorn'd with sculptures. Paradisus amissa. : Poema, Anglicè scriptum a Johane Milton. Nunc autem ex auctoris exemplari Latinè redditum. in Latin - Liber primus. Paradise lost: A poem, the author John Milton. Book the first. in English - The fourth edition, adorn'd with sculptures. in English - The 3d ed. Rev. and augm. by the same author. 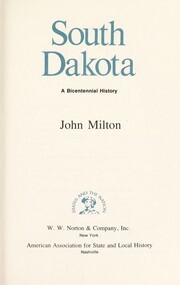 - The second edition revised and augmented by the same author. Microform in English - 2d ed., rev. and augm. by the same author. Paradise lost. : A / Poem / in / Ten Books. 1669, Printed by S. Simmons, and are to be sold by / T. Helder at the Angel in Little Brittain. in French - Nouvelle édition revue avec soin sur les éditions originales. October 3, 2018 Edited by J.B. Edited without comment. January 16, 2018 Edited by JeffKaplan Edited without comment.